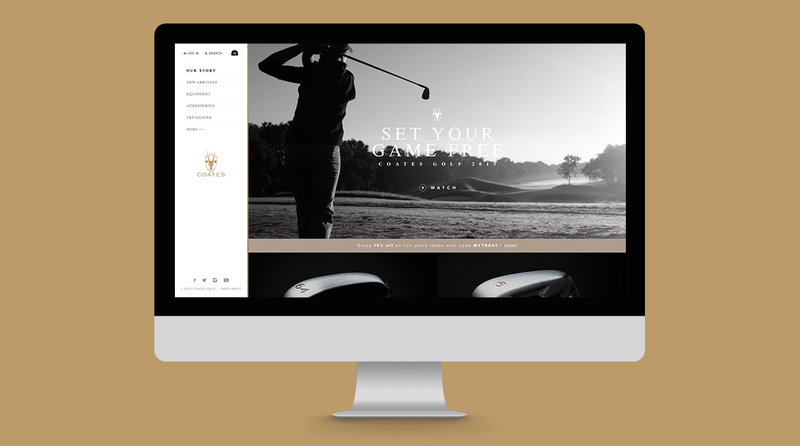 Tasking us with the complete branding of a new company, Coates Golf challenged us to change the landscape of women’s golf by portraying women as strong athletes as well as leaders in business, through a comprehensive branding and marketing strategy. 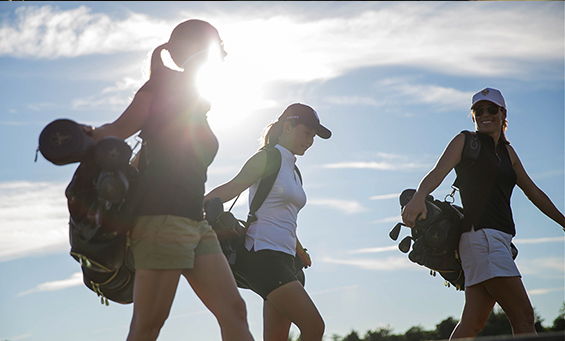 In this day and age, female golfers are continuously patronized and limited in their equipment choices, but we set out to change that. 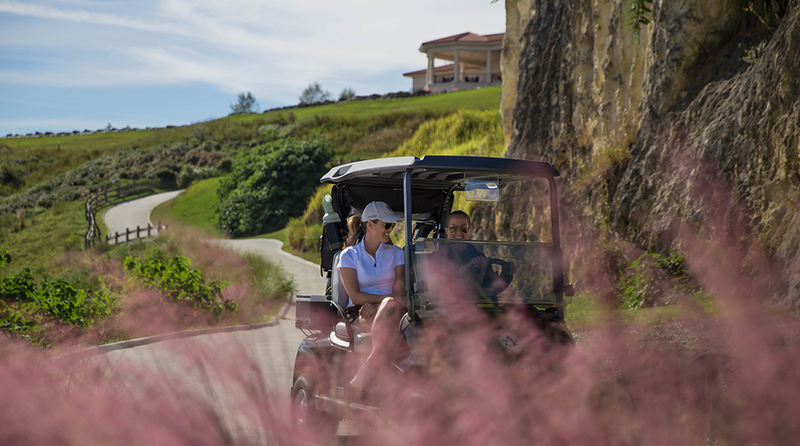 As a company, Coates Golf believes in equality for women, especially on the golf course. 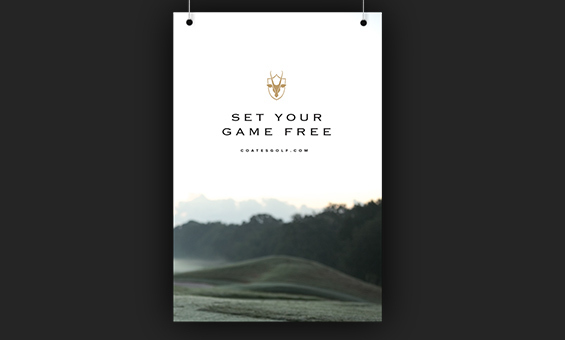 Paring these values with a passion for beautiful and forward-thinking design, our creative team began developing a visual style. 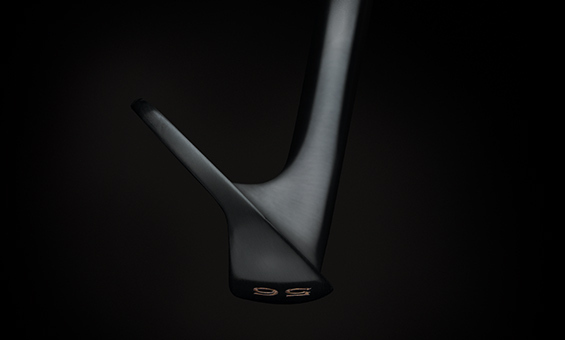 With this in mind, we wanted to mesh elements of high-end fashion with functional equipment and technology backed by research and data-proving quality. Initially, we launched a custom eCommerce website built on the WordPress content management system. 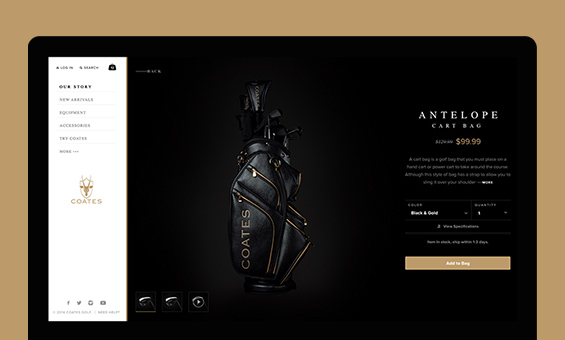 At company launch, the website’s sleek and modern feel was the first interaction most consumers would have with the brand because the company was not available in retail until later in the year. 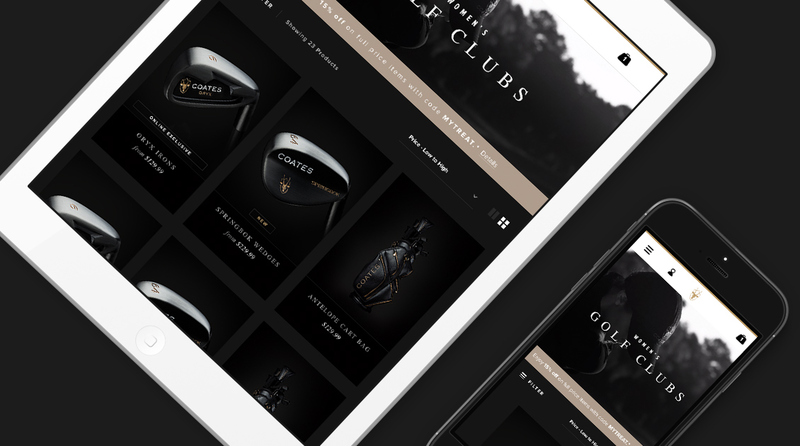 Our goal was to set the stage for what the brand stood for and help convey the quality of products available through high-end user experience design and website infrastructure. 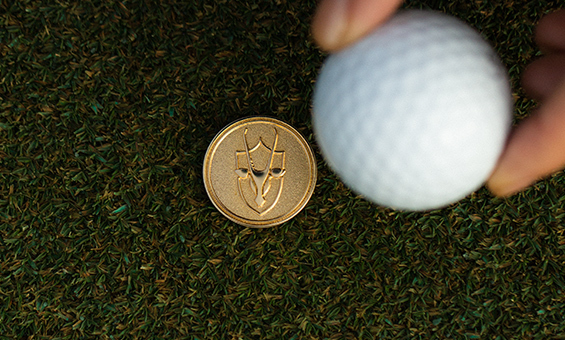 Paired with high-quality lifestyle and product photography, our creative team formulated a design standard that was unique and powerful, unlike anything found within the industry. 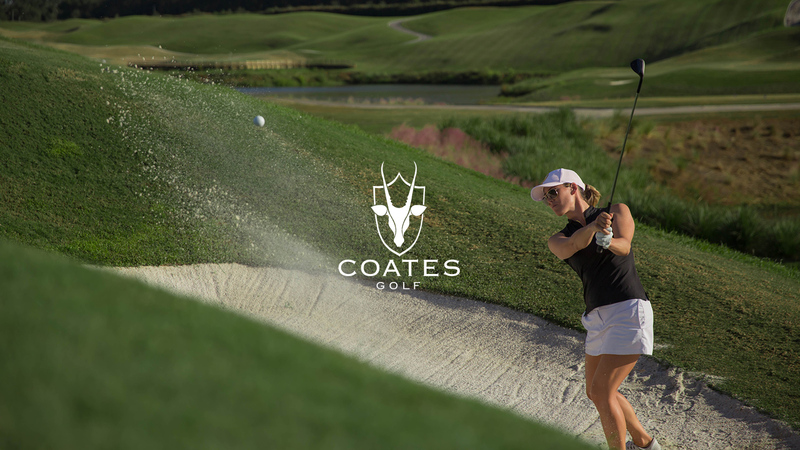 Coates Golf – filling the gap with performance golf equipment for female athletes in a male-dominated industry. 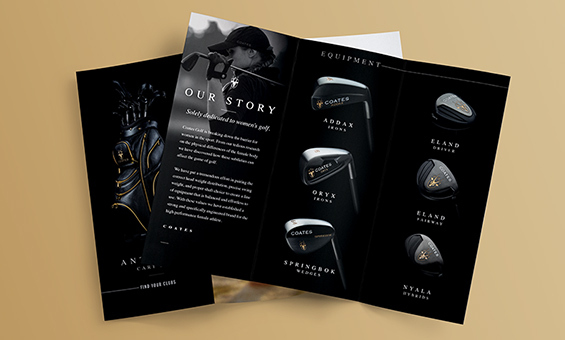 To fulfill the visual needs required by these efforts, we provided a visual design strategy around all marketing collateral for the brand, including brochures, trade show booths, print ads, signage, etc. 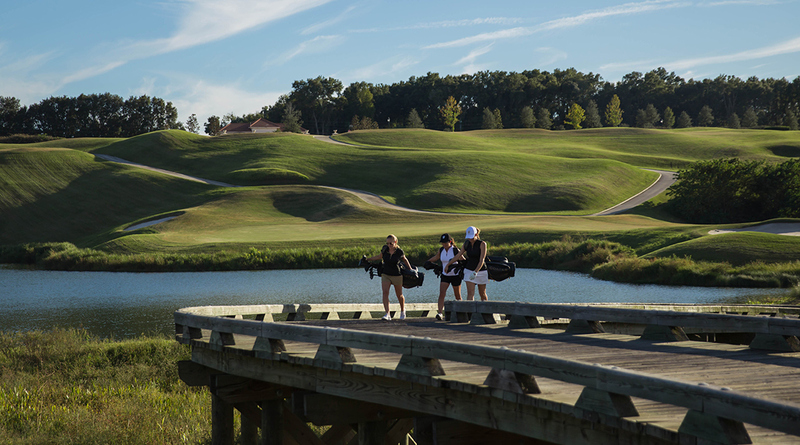 As the company began to grow, their brand awareness campaign was centered around a 4-year title sponsorship of an LPGA tournament in Ocala, Florida. In addition to this sponsorship, the brand hit key trade shows throughout the year along with eventually transitioning into retail stores. 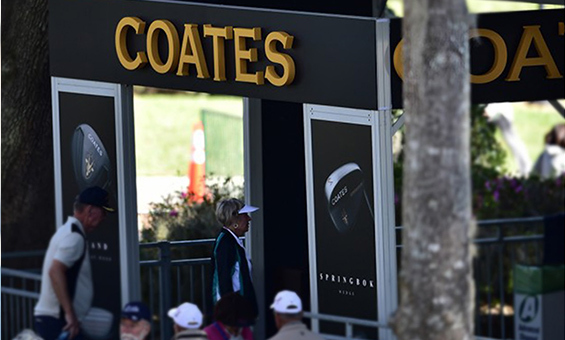 In conjunction with the brand’s LPGA tournament sponsorship, Coates Golf partnered with key female professional golfers to help establish the brand through a more grassroots effort. Our creative team saw this as an opportunity to develop a series of social campaigns featuring Coates-sponsored female athletes. In addition to this, all principal roles in lifestyle photography were portrayed by these sponsored female athletes for further authenticity. 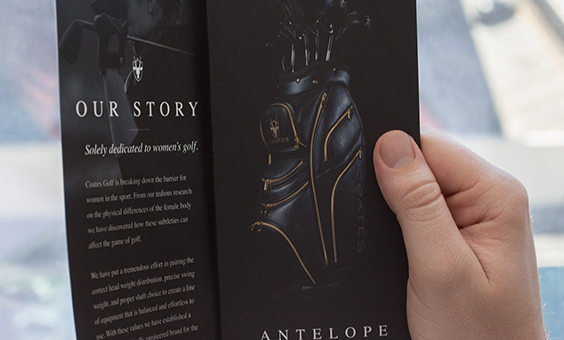 CEO Mollie Coates challenged us to create an ad that would communicate their brand’s mission statement whilst re-directing the industry standard and sparking revolution efforts of gender equality in golf. 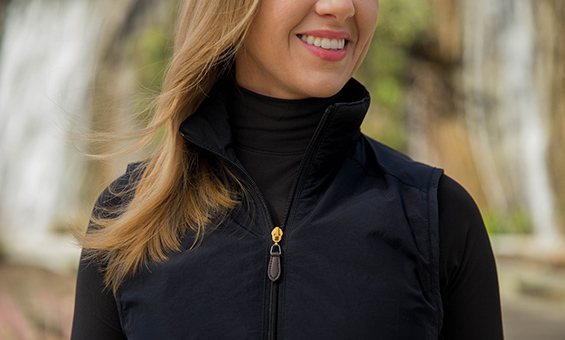 We felt there was no better way to communicate a powerful message to women in golf, than if it came from a woman in golf. 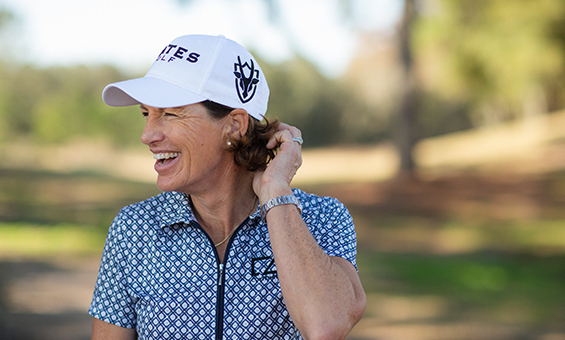 Words directly from the company’s CEO help empower women and pose the questions – What if we can redefine the future for women in golf? What if that time is now? 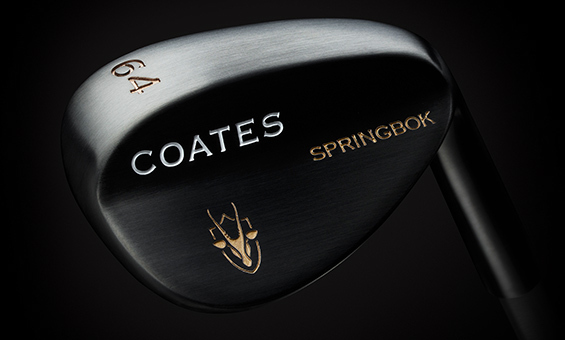 We have arrived – Coates Golf.